Morocco WikiExpedition 2017 is WikiExpedition to Morocco organized for educational and sports goals. The organizer is Dmitry Erokhin, famous Russian ultra trail runner, member of Russian Geographic Society ультрамарафонец, трейлраннер and non-commercial partnership Wikimedia RU (chapter in Russia of Wikimedia Foundation). Date of WikiExpedition: March 2017. Visiting the Toubkal National Park and the climbing to the highest height of Mprocco and the Atlas Mountains, mountain Toubkal (4 165 m). 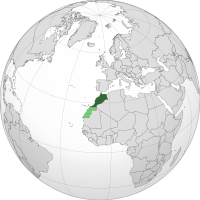 The work shall be done while following from Marrakech to Merzouga, in the surroundings of these localities and in the Toubkal National Park. Preparing, uploading, description and categorization of the images of Morocco nature made during the WikiExpedition including mountains, rivers, localities, deserts, roads and the other things (about 100 pictures total). 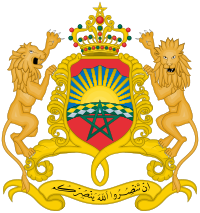 Creating new articles, improvement the other articles (including articles with cleanup templates) following the rules of Weekly Contest related to French Africa and especially Morocco (to 10 articles total). Changes may be done, the program will be edited during the realization plan. Эта страница в последний раз была отредактирована 8 марта 2017 в 13:49.